Light blue walls, stripes, sandy feet on a slipcovered sofa and woven details all call to mind the beautiful airiness of a little bungalow on the beach. Whether your view is seaside or cityscape, you can get the coastal look by shopping for the classic touches that define the style. 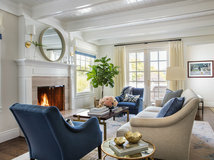 You don't even have to buy all new furniture; it's easy to add nautical and beachy accessories and textiles to make your home feel vacation ready. 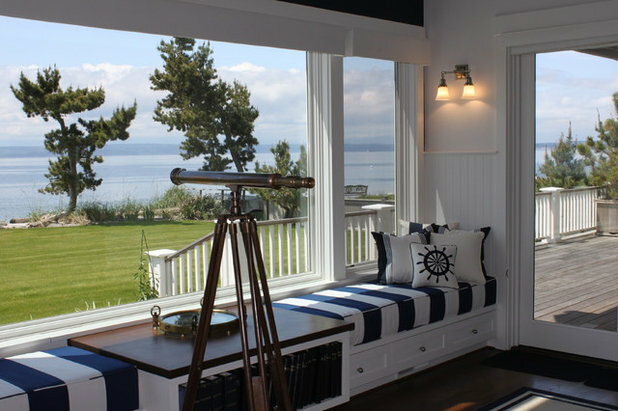 When creating a coastal-style home, there are a few key pieces you'll want to consider. Natural textures are an important element that you can add through furniture made of rattan, sea grass or wicker. Driftwood pieces can be a little cliché, but natural unstained woods or chippy painted wood can create the same casual feel. 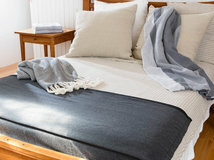 And for upholstered pieces, white slipcovers that can be washed, bleached and dried in the sun create an immediate beach-house feel that can stand up to sandy feet and towels. Stripes are a classic way to bring a seaside touch. Wide navy and white stripes have a nautical flare, while thinner red and white stripes feel a little more rustic, like in a French coastal village. 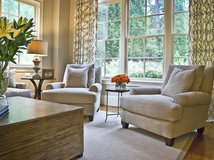 Add stripes through upholstery, like here, or in a rug or pillows. You can even paint stripes on your walls for a low-cost but high impact look. Here are some top coastal accessories and where to find them. 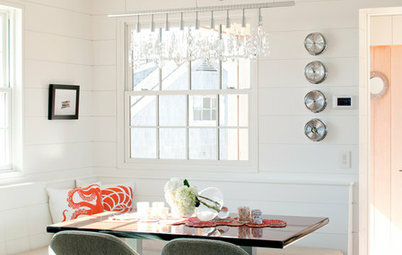 Rope detail is a great way to add a coastal or nautical look. These curtain tiebacks would be a simple detail to add to breezy white curtains. Other ways to incorporate rope might be as pillow edging or arranged artfully in a hurricane vase. You could even use heavy rope (look in a boating store) in place of a stair railing. 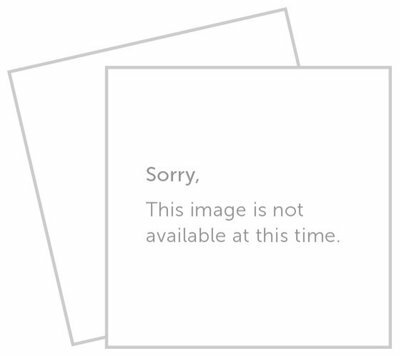 • Restoration Hardware has rope accessories and other nautical accents. • Other rope accessories at Ballard Designs. 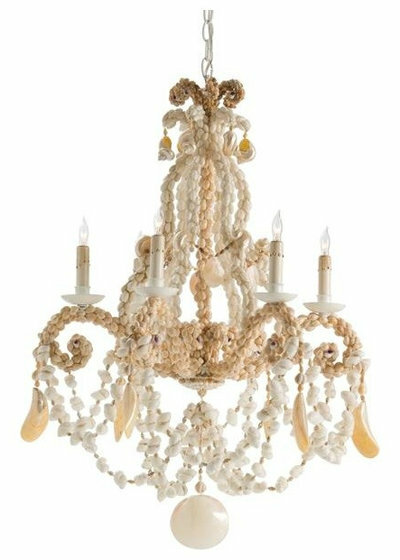 Shell accessories are an obvious way to bring in a beachy look, but there are ways to be subtle with them. 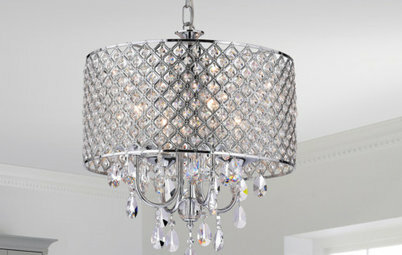 This chandelier is a nonobvious statement piece, for example. 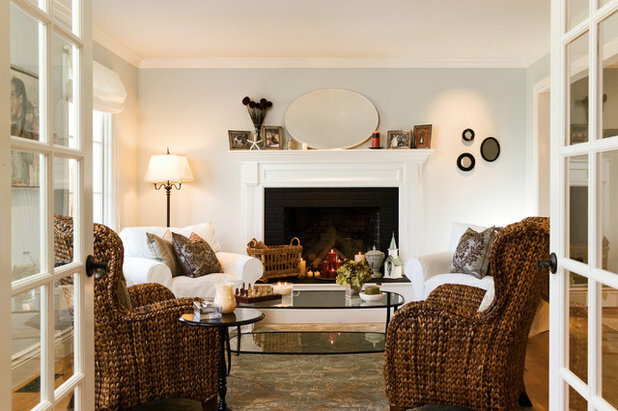 You can also get shell items that won't break the bank: Shell- or capiz-framed mirrors and picture frames, bowls, lamps and even sculptures would be beautiful in a coastal-style home. • Get a giant clam shell (and other shell accessories) at Z Gallerie. • Or, head to the beach and collect shells and sand dollars to display. 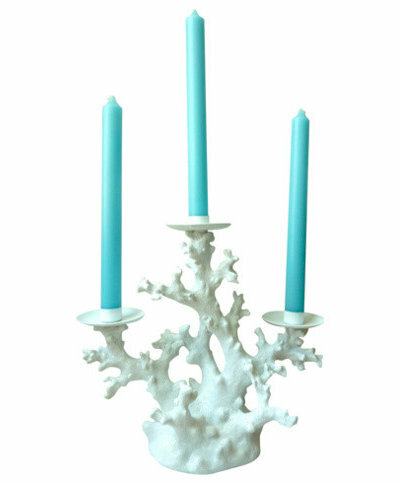 Coral is another common element (a chunk of coral atop a stack of books or tucked into a bookshelf, for instance), but it's lovely when imagined in a new way, like this candelabra. I also like using the motif in textiles, like a throw blanket or a rug, to get the look in an unexpected way. • This candelabra is from Design Darling. 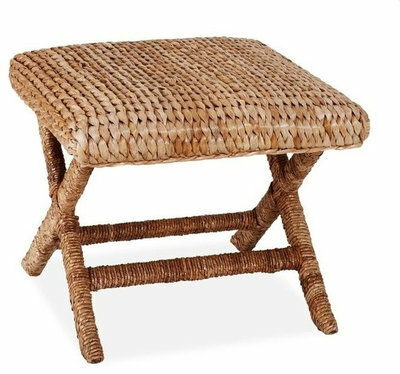 I love this sea grass stool for a natural touch. Sea grass accessories abound in coastal decor, as do buoys and driftwood signs. • This stool and other natural textures are part of Pottery Barn's seasonal collection. • True to its name, you can find a lot of natural pieces at Wicker Paradise. • If shopping vintage, be sure to check for unraveling or fraying wicker, which can be difficult to fix. 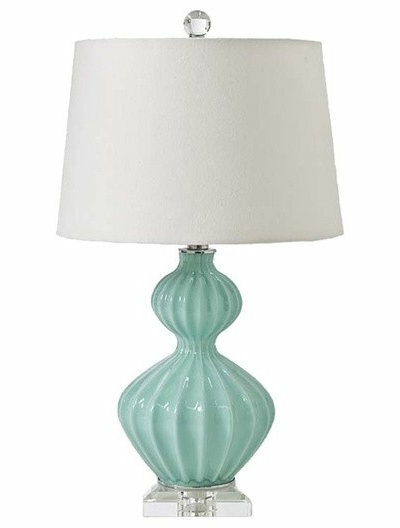 Pretty lamps, accessories and other delicate pieces can evoke a seaside touch when they are in shades of oceanic blue — especially if they are textured like an under-the-sea creature, as this lamp is. 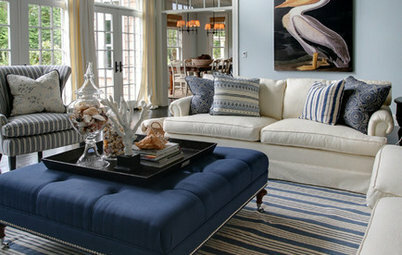 Slipcovers are essential in a beachy home, so sand doesn't take up permanent residence on the couch. 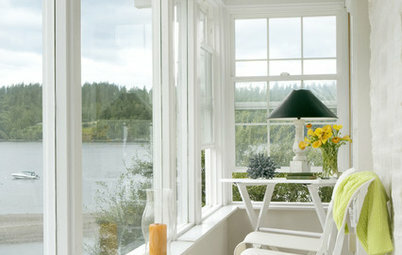 • Ballard Designs has many simple and classic slipcovers. 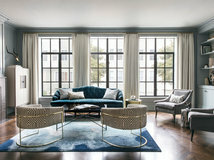 • A modern take on the slipcover at Serena and Lily. 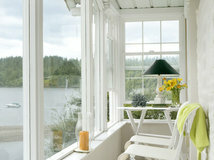 • For a wide selection of slipcovers, try Comfort Works. 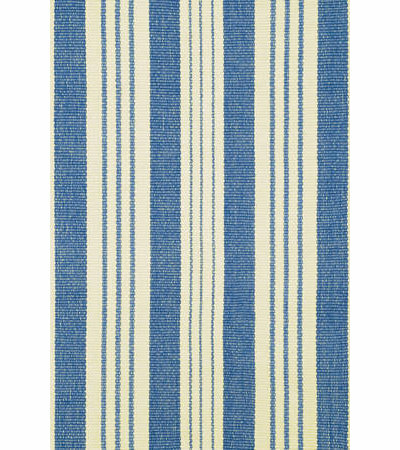 If sand and surf are actual design dilemmas for you, you'll want an indoor-outdoor rug for a look that lasts. • Rugs from Dash & Albert will keep your floors looking pristine. • Lots of colorful outdoor rugs from World Market. 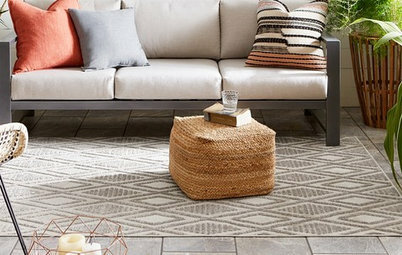 • Go for the jute look with one from Crate and Barrel. 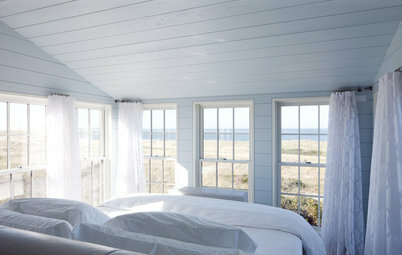 Tell us: Is your style coastal? 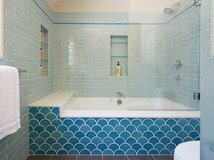 Share a photo of your design choices below. I love the idea of rattan, sea grass and wicker furniture for both indoors and out. The unattractive "satellite dish" on the mantel is much too large and the little frames to the right are too small. The rest is very nice though. 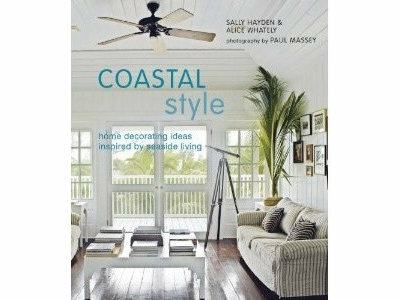 Decorating Styles Update That Beachy Style!